Readers will know by now that I am undoubtedly a Southside girl, and it takes something really quite special for me to venture up into the uncharted north. One such thing is the promise of a good matcha (something that I would travel to the ends of the earth for). 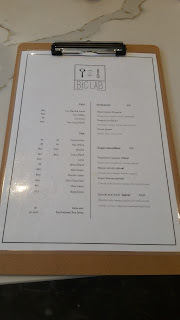 Having seen quite a few pictures of the newly opened B+C Lab Cafe in Kelvin Grove, Tomcat and Mrs Tomcat and I made the pilgrimage north of the river to try it out. The cafe consists of two storeys, with ordering downstairs and seating predominantly upstairs. 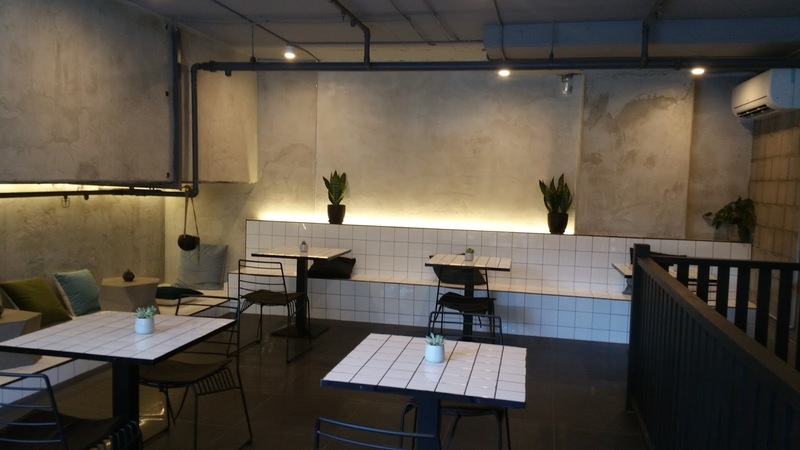 Like the name suggests, the decor was white and quite clinical like a laboratory with its precise surgical instruments. At the counter, there were seven types of cake that afternoon. I WANTED THEM ALL, but alas, decisions and sacrifices needed to be made. The menu at the counter provided other drink options, with quite a few different types of coffee and tea as well as matcha, it reminded me quite a bit of my favourite Sonder. The upstairs area was a sight to behold (strong aircon also helps too, on a hot summer's day). 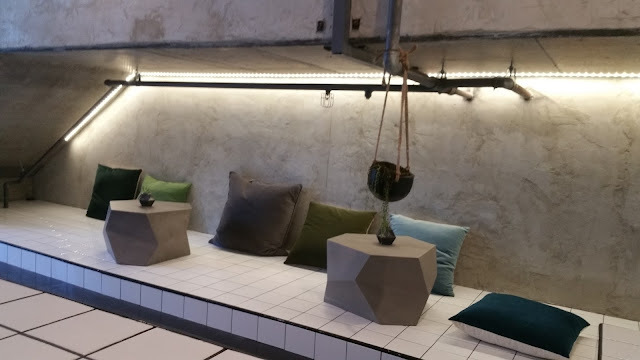 I loved the white tile tables, and the rock tables with cushions making this without a doubt a great place for local students to meet up and study. 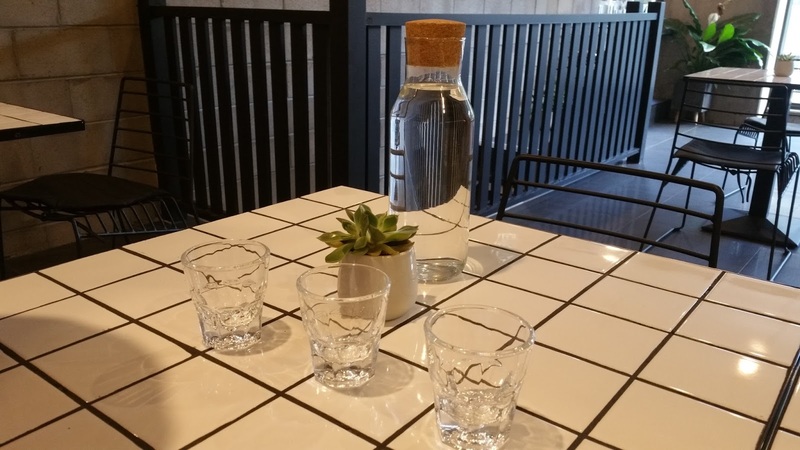 Water was obtained, along with some cups nearby and we awaited our orders patiently. 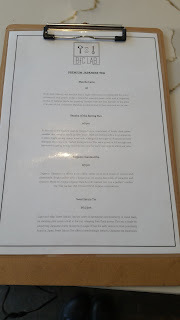 When our food came, we were super hyped up at the sight of all these goodies. Our excitement could barely be contained. 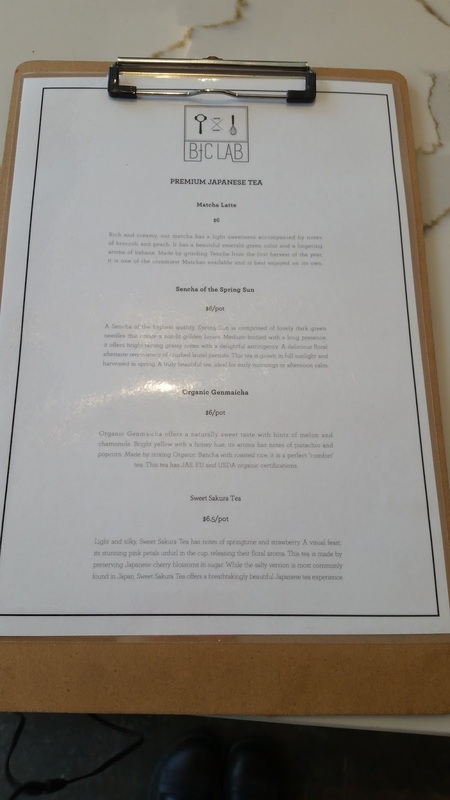 Starting with the drinks and leaving the best for last, Mrs Tomcat ordered a pot of Sencha of the Spring Sun. For $6 a pot, it came with unlimited refills (perfect for those long study sessions). It offered a refreshing and light leafy tones with a delicious floral aftertaste. Although I prefer my tea to be strong, Mrs Tomcat loved that it wasn't overly bitter. Tomcat got the flat white, and it came with what I consider to be pretty spectacular latte art. 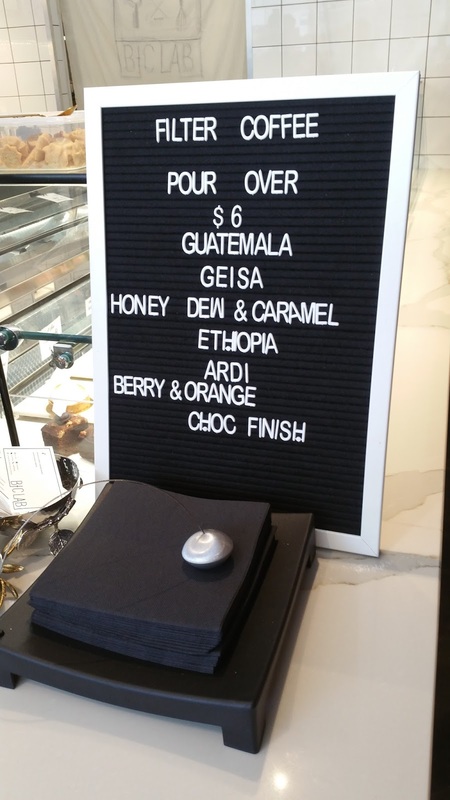 B+C cafe use beans from Five Senses, and this flat white came from their Ardi Beans. 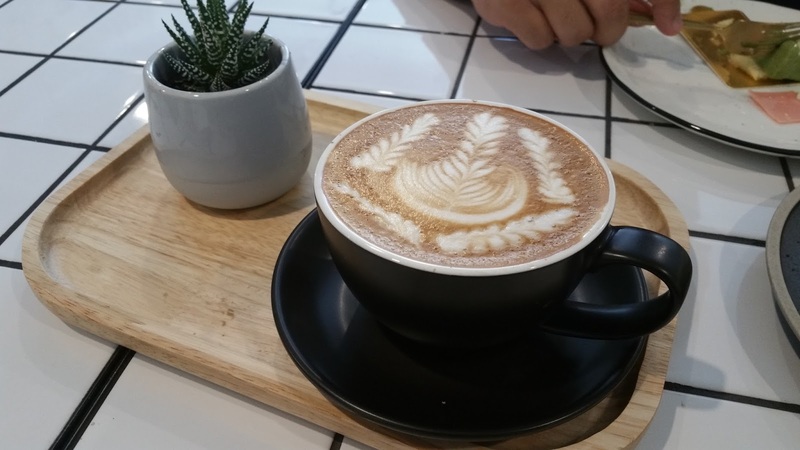 For a milk based coffee, I found it unusual but surprisingly pleasing that they came with a really fruity berry taste to it, and it complimented the milk surprisingly well. 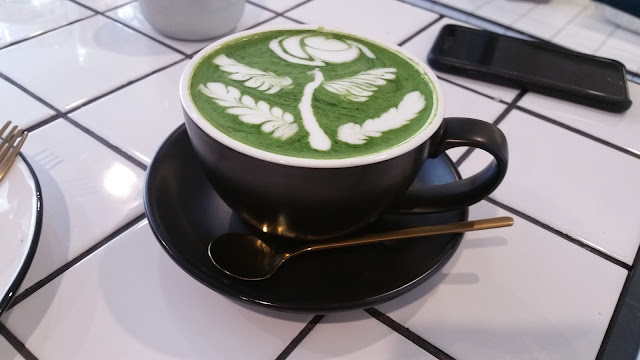 Of course I ordered the Matcha Latte, and it was exceptionally good. Possibly the best matcha latte I've had in Brisbane, beating the refined Sinmei and the ever popular Sonder. To begin with, the latte art was impeccable. 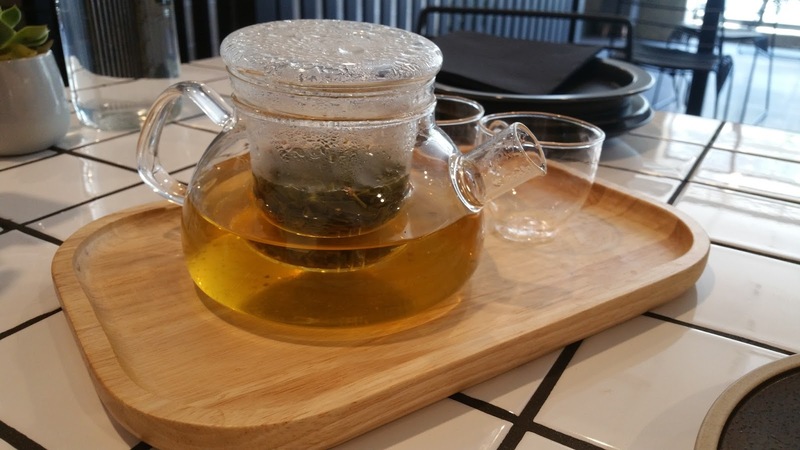 Appearances aside, the matcha had the perfect amount of sweetness, and only complimented the tea without overpowering or dominating in anyway. The matcha itself was perfectly executed without being too bitter, or burnt, but exceptionally rich without being overly thick. To say I was impressed is an understatement. 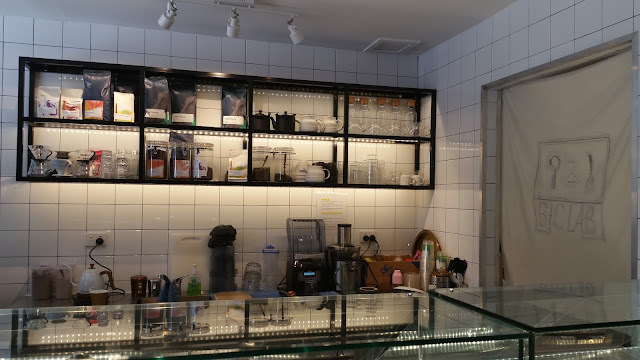 However, what truly impressed all three of us that afternoon was the pour over coffee, specifically Five Senses single origin San Francisco Geisha. The taste was very well balanced, without any hints of acidity or bitterness, it brought strong fruity tones with a sweet caramel aftertaste, and we absolutely loved it. Although the drinks were wonderful, there is no denying that our main focus was on the cakes. First up was the Matcha Crepe Cake. One bite took our breath away. 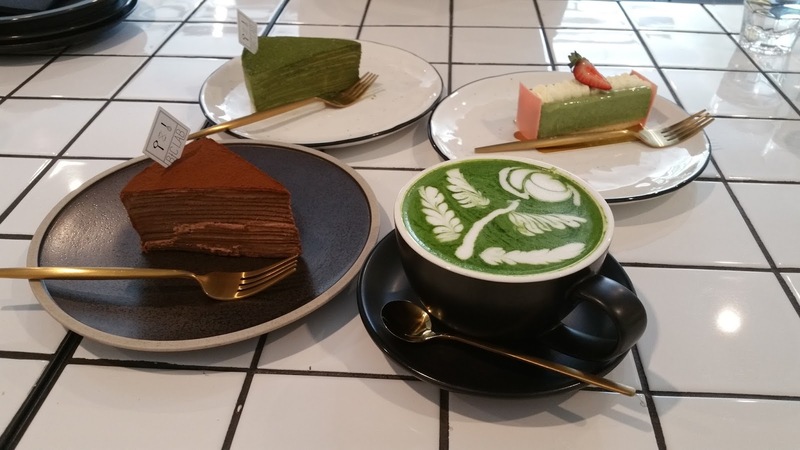 With the same well balanced matcha as my latte, added with a perfect crepe to cream ratio and wonderful texture and layering effects made this an impeccable slice of cake. Even Mrs Tomcat who is not usually a fan of matcha, loved it, noting that there was an obvious lacking of the usual bitterness that is associated with matcha, leaving fragrance and a slight sweetness. We loved it, and it took every ounce of self control not to buy a whole cake to take home. 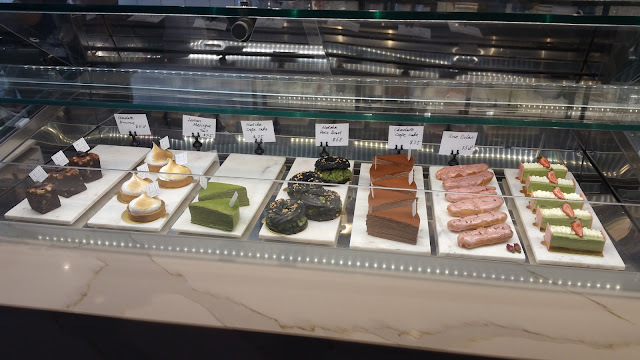 Next we had the Matcha Mouse cake, which had strawberry chocolate on both ends, an azuki bean filling and was also topped with strawberry. As a mousse, it also had the perfect level of sweetness. Texture was also ideal, with the mouse being both smooth and moist with an wonderfully rich consistency. Some friends would know that I often avoid azuki beans because I do not enjoy the residue from the bean husks that are often left in the mix. This was not the case in the filling, with it also being delightfully smooth and homogeneous. I could not believe how good it was. Rounding off, we had the Chocolate Crepe Cake. Like the matcha cake, it had a perfect texture and consistency to it. We also loved the fact that it was so very rich and chocolate-y without being overpowered by sweetness. If you're a fan of dark chocolate, this is definitely the cake to try. 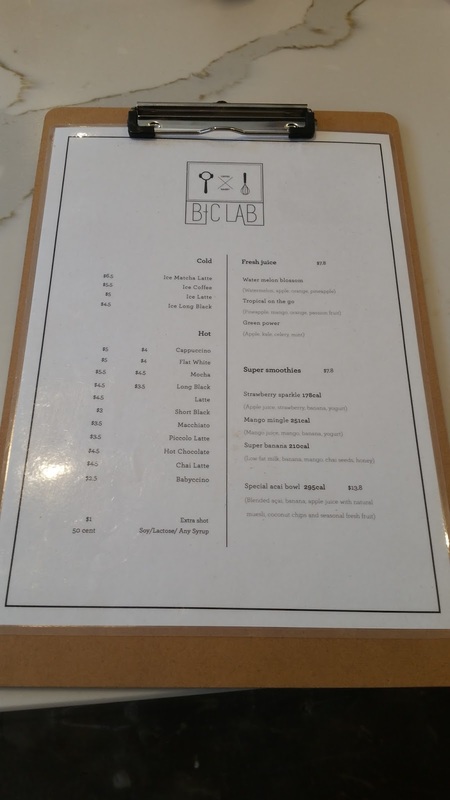 The experience that we had at B+C Lab Cafe really rocked our world. 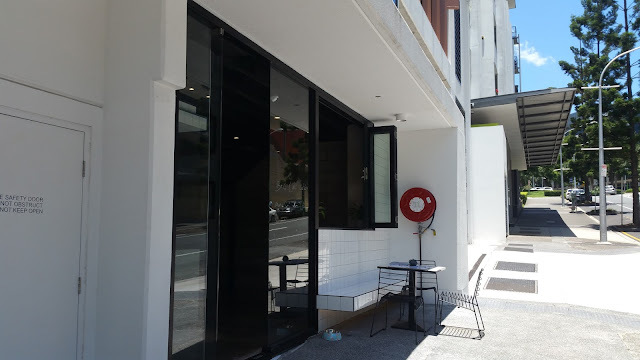 Both Tomcat and I agreed that this has really lifted the bar in Brisbane for Matcha and similar cafes, and really set the standard. Looks like I'll have to travel across town more regularly to get my fix.